The Oppo AX7 Pro is an affordable smartphone with a beautiful body design and it’s available in multiple colors. The phone has a notch similar to the Oppo Realme U1 smartphone that was launched with an impressive selfies camera. Both phones offer’s an impressive cameras set-up and they also have a decent body design as well. We will be looking at the full comparison between the Oppo AX7 Pro and the Oppo Realme U1 smartphone. The Oppo AX7 Pro is built with the combination of metal and glass. The phone has a smooth body design with dual rear cameras set-up. It measures 75.5 mm x 158.3 mm x 7.4 mm and weighs 156 gram. The Oppo Realme U1, on the other hand, has a smooth body design that is built with the combination of metal and plastic. The phone also features a dual rear cameras set-up. It measures 74.0 mm x 157.0 mm x 8.0 mm and weight 168 gram. Both phones are equipped with a fingerprint scanner for security. Both phones are equipped with a teardrop notch and they also offer a large screen display size as well. The Oppo AX7 Pro has a screen size of 6.4 inches Full HD+ alongside AMOLED capacitive touchscreen with a resolution of 2340 x 1080 Pixels and 403 PPI density, while the Oppo Realme U1 has a screen size of 6.3-inches FHD+ alongside IPS, LCD capacitive touchscreen with a resolution of 1080 x 2340 Pixels and 409 PPI density. They also have a screen display protection with the same screen to body ratio. The Oppo AX7 Pro has an edge on the AMOLED panel. The Oppo AX7 Pro has a dual rear camera of 16 Megapixels + 2 Megapixels worth dual-tone LED flash, while the Oppo Realme U1 has dual rear cameras of 13 Megapixels f/2.2 + 2 Megapixels F2.4 with dual LED flash. On the front, they have the same front facing camera of 25 Megapixels with F2.0 Aperture and Face Recognition. The Oppo AX7 Pro wins because it’s the only one that supports 4K video recording. On the hardware, the Oppo AX7 Pro has a Qualcomm Snapdragon 660 MSM8976 Plus chipset with an octa-core processor that clocked at a speed of 2.2 GHz, while the Oppo Realme U1 has a MediaTek Helio P70 chipset with an octa-core processor that clocked at a speed of 2.1 GHz. Both phones are powered by Android 8.1 Oreo operating system and they also have a support for dual SIMs with 4G LTE network. 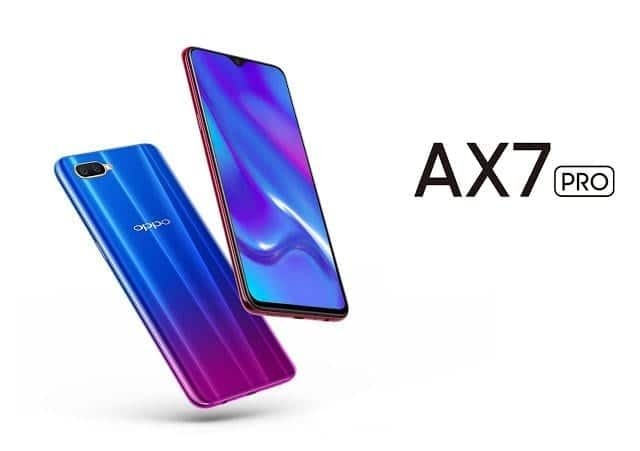 The Oppo AX7 Pro has 4GB RAM with internal memory of 128GB which is expandable, whereas the Oppo Realme U1 is available in 3GB/4GB RAM with onboard storage of 32GB/64GB which is also expandable. The Oppo AX7 Pro has a nonremovable battery capacity of 3600 mAh, while the Oppo Realme U1 has a nonremovable battery capacity of 3500 mAh. Both phones support fast charging technology. The Oppo AX7 Pro will start selling at a price of $450, while the Realme U1 will cost $159. On the overall, the Oppo AX7 Pro will perform better than the later. The phone also has a more advanced body design and it features an onscreen fingerprint sensor. 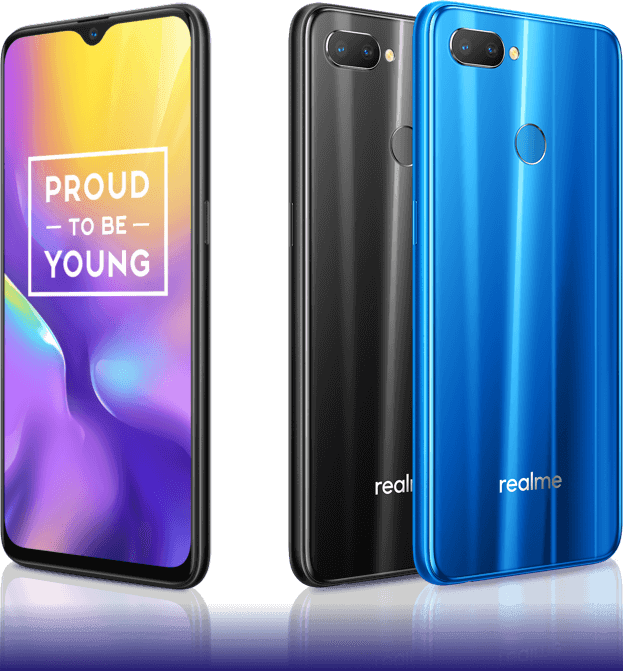 The Realme U1 is more affordable. So, it will make a better alternative.